Please RSVP here: as soon as possible, so we can make sure enough tables are set up. This is really fun for everyone! Outreach Meeting – Save the Date! 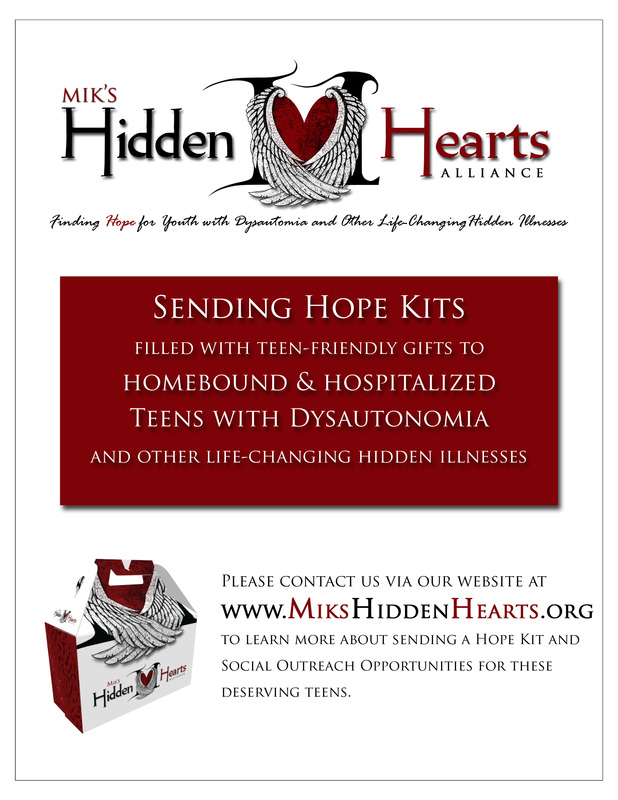 Posted by Mik’s Hidden Hearts Alliance in partnership with The Lamb Foundation for Dysautonomia Research. I have not done a “dys song” in awhile, but wanted to share this one with you. Listen to the lyrics and remember we are NOT knocked down forever! Posted by Mik’s Hidden Hearts Alliance. 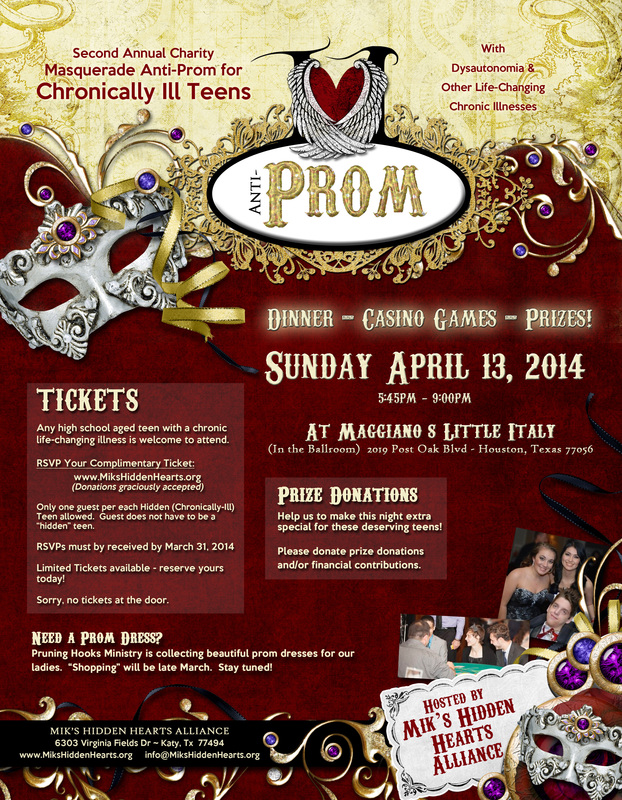 Don’t miss YOUR Prom – for chronically ill teens! 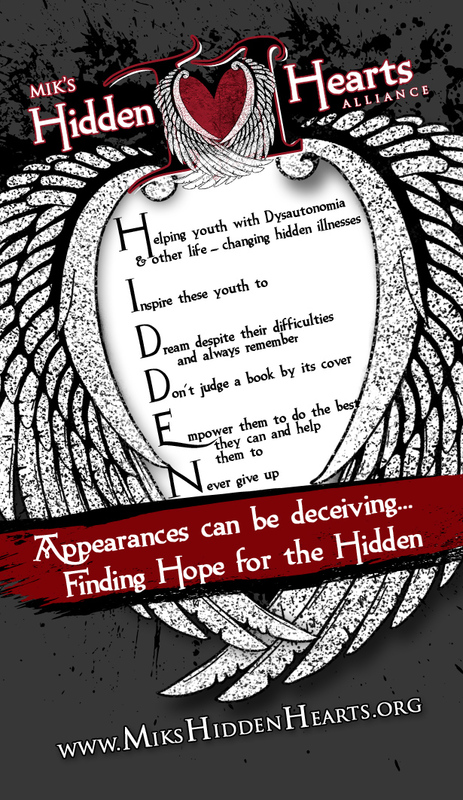 Reminder – rsvp your tickets for Mik’s Hidden Hearts Alliance (for teens with Dysautonomia and other hidden life changing chronic illness) first annual “Anti – Prom” to be held on Friday May 3 at the beautiful Courtyard on St. James in Houston, Tx. 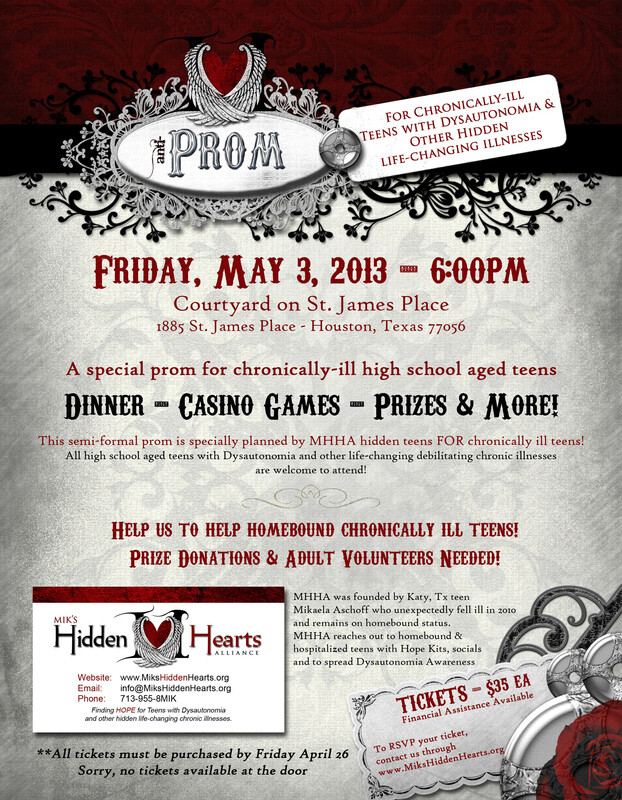 Join us for a specially planned prom by chronically ill teens for chronically ill teens! Dinner, casino games, tons of prizes and more! Check us out on Facebook – Click Here!